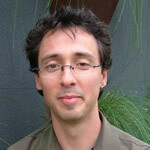 Charles (Chuck) Berger is Director of Strategic Ideas at the Australian Conservation Foundation (ACF), one of Australia’s leading environmental advocacy organisations. He leads ACF’s work on new research and outreach projects to address the underlying drivers of environmental degradation, including unsustainable consumption, growth in resource use and population pressures. Chuck’s work has included innovative projects in the areas of sustainable consumption, institutional reform, corporate responsibility, population dynamics, environmental taxation, and sustainable economic transformation. Prior to his current role, Chuck was ACF’s Legal Adviser for four years, and has also worked as a corporate lawyer in private practice in New York and Brussels. He holds law degrees from Yale University and the University of Frankfurt, Germany.